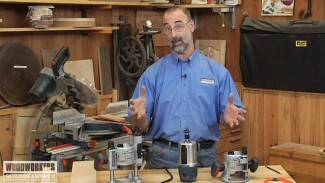 George Vondriska discusses how WWGOA typically approaches building the woodworking projects that you know and love. He suggests that while you may want to get right into the full-sized build, you should consider working on a small-scale model of the project to test its dimensions and structure, then step up to the regular size once you feel comfortable that you can create a sturdy, great looking piece. 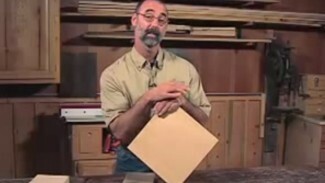 George, thanks for your enlightened video regarding stool samples. Out of curiosity, was it filmed on April 1? I’d also be interested to know if your stool samples are typically small enough to be carried in your shorts? Have a look at this video. 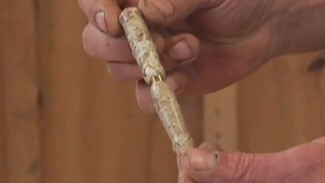 http://www.wwgoa.com/video/diy-drawers-lock-joint-004772/ The material thickness affects the fence location. 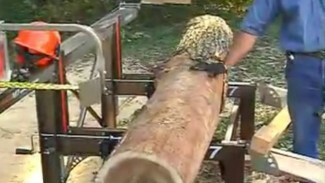 Thicker material means taking off more wood, allowing more cutter to project past the fence. Thinner material, just the opposite. When using the drawer lock on plywood, be sure to zero clearance the infeed side of the fence. If you don’t, you’ll have A LOT of chipping. hahahah this is pure genius!